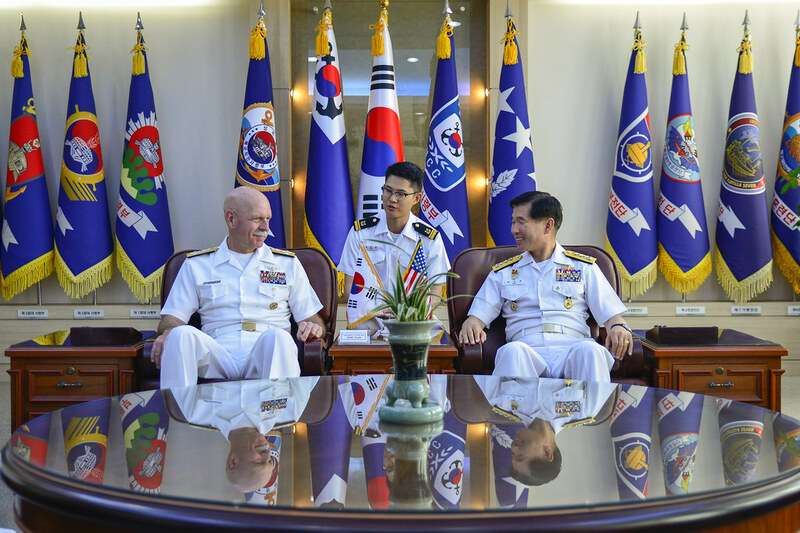 BUSAN, Republic of Korea - The commander of U.S. Pacific Fleet visited South Korea June 15-18, to meet with senior U.S. and Republic of Korea (ROK) leaders, and express his support for Sailors and the U.S. Navy mission in Korea. During his visit Swift met with U.S. Army Gen. Vincent K. Brooks, the commander of U.S. Forces Korea; ROK Army Gen. Kim, Hyun-Jip, deputy commander of the Combined Forces Command; and Adm. Jung, Ho-sub, ROK chief of naval operations. Swift also met with Vice Adm. Um, Hyun Sung, ROK vice chairman of the Joint Chiefs of Staff; retired Adm. Park, In-Yong, the director of the ROK National Safety Commission; and Dr. Hwang, In-Moo, the vice minister of ROK National Defense. During his visit, Swift also met with Sailors in Seoul, Chinhae, and Busan, the new home for the U.S. Navy in Korea, where he toured Commander, U.S. Naval Forces Korea’s headquarters. 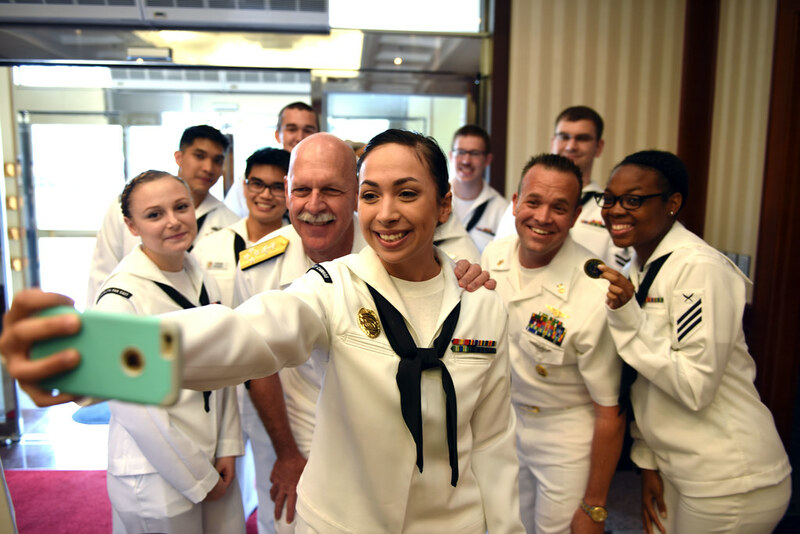 Swift had another opportunity to meet and speak with Sailors during a lunch and all-hands call at Commander, Fleet Activities Chinhae (CFAC), the only U.S. Navy installation in the ROK. After the town-hall, Swift traveled to the ROK Naval Academy here he spoke to more than 140 Midshipmen and spoke on topics ranging from bilateral exercises, deterring North Korea, and offered his opinion on how to be a successful naval leader. This visit was the second time Swift visited Korea since assuming command of U.S. Pacific Fleet, which is the world's largest fleet command and encompasses 100 million square miles, more than half the Earth's surface, from the West Coast of the United Sates into the Indian Ocean. The Pacific Fleet consists of approximately 180 ships, nearly 2,000 aircraft and 140,000 Sailors and civilians. Commander, U.S. Naval Forces Korea is the regional commander for the U.S. Navy in the Republic of Korea and provides expertise on naval matters to area military commanders, including the commander of the United Nations Command, Combined Forces Command, and U.S. Forces Korea.